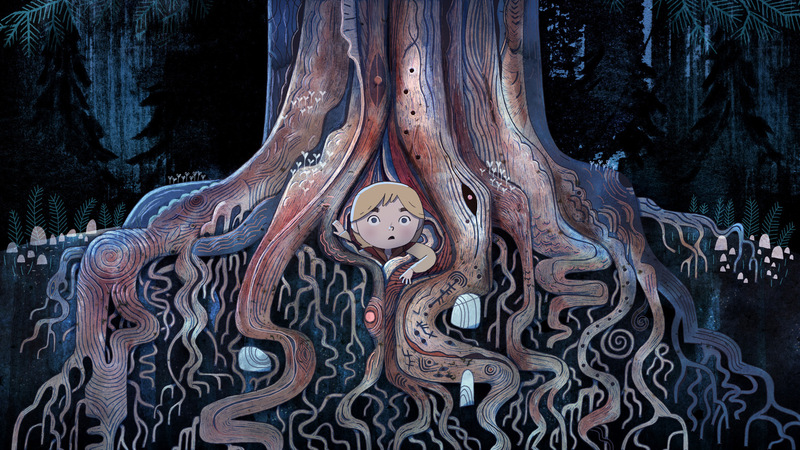 When the 2009 Academy Award nominations were announced, Oscar watchers were left scratching their heads at the inclusion of Irish filmmaker Tomm Moore's The Secret of Kells among the five nominees for Best Animated Feature. It was a film that wasn't really on anyone's radar before that moment, from a relatively unknown distributor, GKIDS, which specializes in foreign animation. Since then, GKIDS has racked up five additional Oscar nominations for A Cat in Paris, Chico & Rita, Ernest & Celestine, and two nominations this year for The Tale of the Princess Kaguya and Moore's latest film, Song of the Sea. This time, many more Oscar watchers saw Moore coming. While many thought there would only be room for one foreign animated title this year, few thought that both Princess Kaguya and Song of the Sea would make it into the final five, especially at the expense of perceived frontrunner, The LEGO Movie (I had given the edge to the more widely acclaimed Princess Kaguya in my own predictions). The fact that the Academy found room for both films, however, is heartening, because their nominations ensured a much larger audience than they might otherwise have had. Song of the Sea is an utter delight, a film filled with subtle wonders that continue to reveal themselves upon repeat viewings. It's a deceptively simple story, deeply rooted in Irish folklore, about a young boy named Ben and his mute little sister, Saorise, who turns out to be the the Selkie, an ancient race of seal people who made their home on both land and sea. After their mother, a Selkie herself, had to return to the sea when Saorise was born, their father became determined to save Saorise from a similar fate. Yet Saorise's heart longs for the sea, but as her magic grows weaker from living on land, a powerful witch, determined to rid the world of all feelings to heal an ancient pain, seeks to keep Saorise from returning to the sea, and undoing her spells with her Selkie magic. It seems simple enough, but the folklore here is actually pretty dense, especially for outsiders not familiar with Irish legends. In fact, at first glance, it seems such a slight confection, but Moore has clearly done his homework. Song of the Sea isn't just a pretty picture. Its hand drawn animation is certainly breathtaking, with Moore's geometric style yielding some of the most beautiful animation to grace the silver screen in recent memory. But beyond the film's glorious style, Song of the Sea is a delicately crafted ode to the power of emotions. In Moore's world, even the most painful of emotions are responsible for who we are, and Song of the Sea embraces them with open arms. While it's essentially a children's story, there's something here for everyone. Adults will certainly marvel at the gorgeous images on display and exploration of Irish legend (I especially appreciated the use of W.B. Yeats' classic poem, "The Stolen Child"). It's still a shame that the Academy couldn't find room for the excellent LEGO Movie among the five nominees for Best Animated Film, I'm glad that Song of the Sea managed to land a nomination. Animation like this what saves us from the increasing homogenization of the computer animated family blockbuster. There is so much artistry at work here, impeccably hand drawn and utterly original. 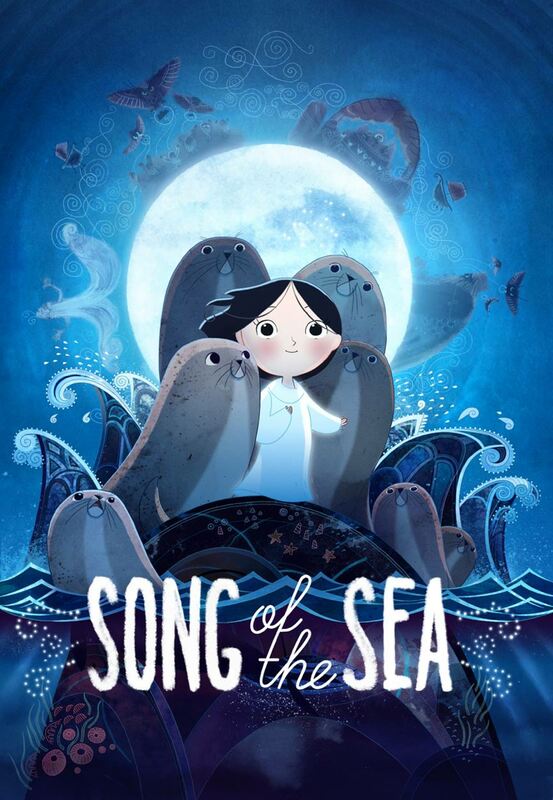 It made me long for the days when films like this were the rule rather than the exception, but coming in 2014, Song of the Sea is a breath of fresh air, as rare and as beautiful as the Selkies it depicts. SONG OF THE SEA | Directed by Tomm Moore | Voices of Brendan Gleeson, Fionnula Flanagan | Not rated | Now playing in select cities. I read most of the reviews saying that this movie is overly long.. but for me personally, it just what it should be. I didn't get bored but continually mesmerize by the art, music and story.